Is it possible to add multiple header rows in flat form pivot ? We are trying to use flexmonster as a simple grid (flat form), in which we need to display multiple header rows. Thank you for your question. Could you please provide us with some more information about your case? Some screenshots representing the expected behavior will be very helpful. Multiple header rows provide more information about each column (column attributes). 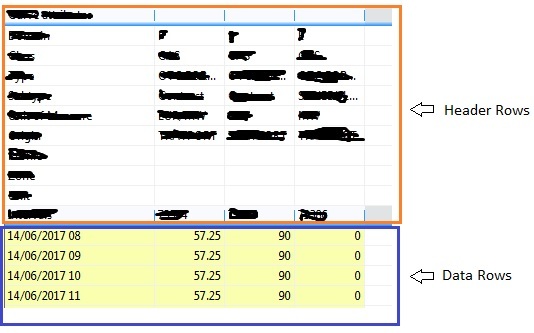 It helps user to compare the columns based on information in header rows. Our main requirement is to make those “header” rows static that is they should remain fix like normal header when scrolling. Thank you for providing us with the screenshot. Our component does not support adding additional header rows. However, you can easily manipulate with the existing one. Please find the example here: https://jsfiddle.net/flexmonster/w1k6x072/. You can add any additional information you want.